Hungry Girl Lisa Lillien combines health and flavor to offer a guilt-free tasty snack that’s anything but dull and will certainly leave your belly full. Follow the simply instructions below to create your tuna-tastic snack in just five minutes. 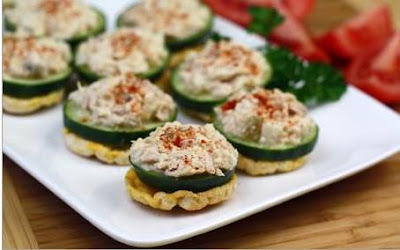 Evenly distribute tuna salad among the cucumber slice, and enjoy!